When it comes to influencer marketing, evolution is the name of the game. 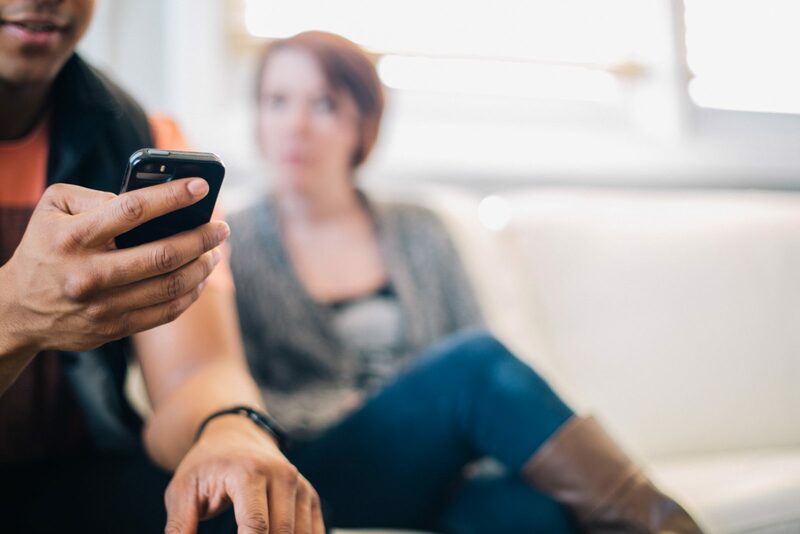 Enterprise marketers everywhere have realized the benefits of engaging with influencers, but it’s clear that this function must be reimagined for today’s brands and their audiences. Brian Solis of Altimeter Group calls this evolution Influence 2.0 and defines it as the movement from influencer marketing to influencer relations. Altimeter partnered with Traackr and Top Rank Marketing to survey brand strategists and marketers around the world to gain insights into how influencer programs have been managed in the past. The study outlines top line pain points and provides marketers with recommendations for how to make the jump to Influence 2.0. This revolution in the way we approach influencer programs will change the way we approach influencer relations from now on. Consumers today are more savvy than ever, and they can smell a disingenuous engagement from a mile away. Nurturing intimate, long-term relationships drive far more value than one-off or paid engagements. 83% of the marketers surveyed stated that a top priority is to “identify and build one-on-one relationships with industry key influencers.” A great way to achieve this is to treat influencers the same way you treat your clients. Though it may take more time and resources, brands need to invest in fostering trust and value with their audiences to establish social capital. It’s the ‘quality over quantity’ approach: make meaningful connections, even if there are fewer of them. Start small, build a process that works, and then grow it from there. 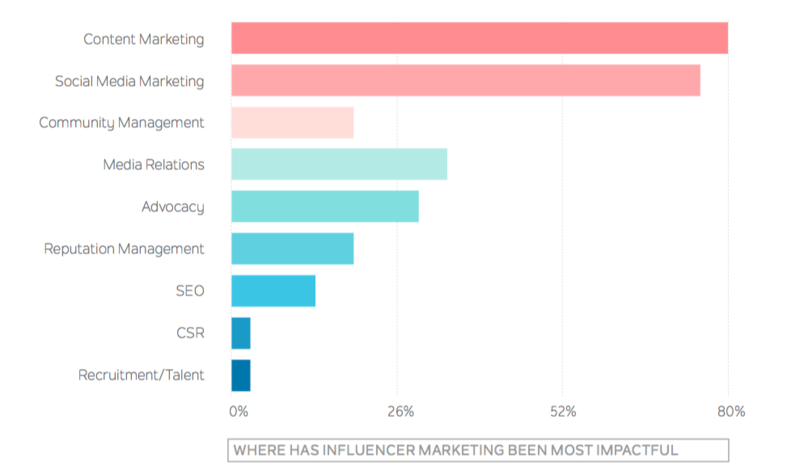 Influencer program growth is often stunted by a disconnect between the departments that own influencer marketing and those that execute its tactics and strategies. 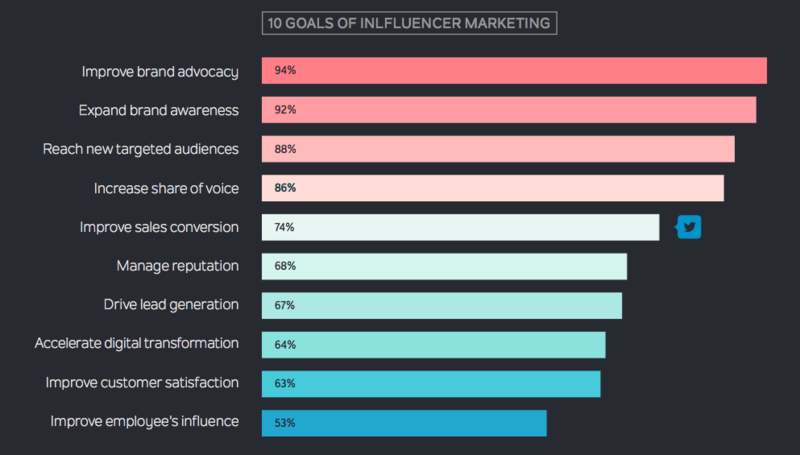 Only 24% of companies cite PR as the owner of influencer marketing, while 65% report that PR teams execute strategies owned by the marketing department. To add chaos to confusion, half of those surveyed said four or more departments actually engage with influencers. Avoid this trap! It’s crucial to identify your core team and clearly identify roles and responsibilities. Customer centricity: Listen to your customer and tap into their needs, and as a result, creating real, human connections with them. The long game: Nurture relationships with your influencers and audiences over time to build trust and credibility. Do not expect this to happen overnight. A captain at the helm: Designate one owner to lead strategy, drive alignment, stay abreast of best practices and tools. Too many cooks in the kitchen degrades accountability and makes execution cumbersome and convoluted. Seamless integration: Influencer relations programs need to be built into marketing organizations the same way that PR, AR, and other marketing functions are. Focus on tighter collaboration across the execution team, with clearly defined roles and responsibilities. Work together to develop a step by step process to translate strategy into practice, along with ongoing documentation and rock-solid program management. Ongoing measurement: Define program KPIs early on, and ensure that you have tools in place to define how the program is performing and articulate the impact it has on the business. Bring in the cheer squad: Every program can benefit from vocal, high profile champions, and influencer relations is no exception. Make the case for your program to top stakeholders and get their buy-in early on. When you start to demonstrate results, they’ll be there to support program growth. No matter where your organization falls on the scale of implementing influencer programs, we can all agree that a renewed focus on long-term, human connections will pay off in a big way. It’s time to put relationships first, and marketing second. Research provided by Brian Solis of Altimeter (sponsored by Traackr and Top Rank Marketing) – read the report here.